A good day to #sendhugs to a friend – World Suicide Prevention Day. Does anybody want hugs? This is a great day to ask your friends! Especially those who do, but they’re afraid to ask. Put a #sendhugs message out for them. Two people who deserve it are Fred Patten and David (Poppa Bookworm) for the amazing writing and assistance they give to make this blog. Hugging is such a “furry” thing. It’s one of the big reasons they’re so loveable. I really liked writing about how it makes a folk signifier: “Hugs are the handshake of furries” – Artists explore cultural meaning of touch. September 10 is World Suicide Prevention Day. This has hit close to home with a good furry friend who lost a brother, and nobody saw it coming. When people die before their time, it often involves problems they can’t talk about. Suicide can affect everyone, but it’s particularly a problem for men – The male suicides: how social perfectionism kills. It’s also a big deal with LGBT people: The Human Rights Campaign – Honoring World Suicide Prevention Day. 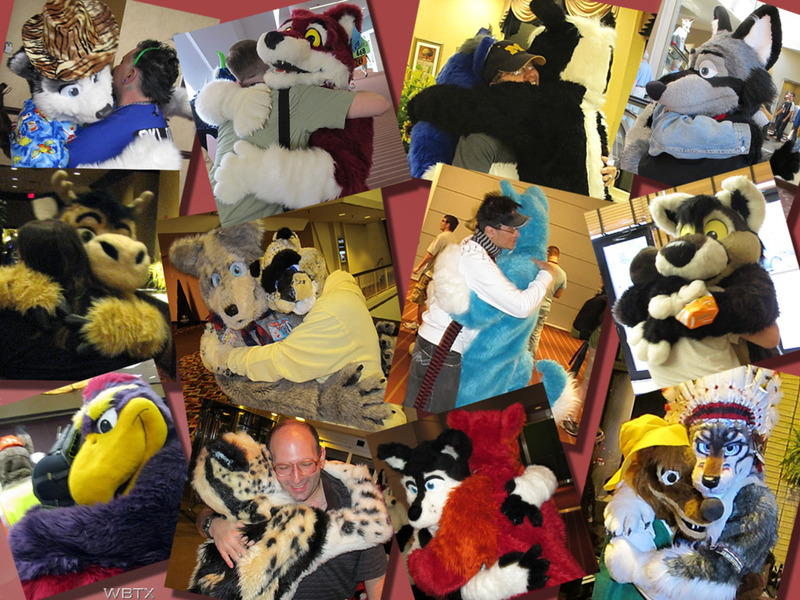 Both groups intersect in the Furry subculture, which has a high amount of gay and male members. This needs to be neutralized by noticing what’s good about guys. I say there’s nothing wrong with being a guy, and there’s nothing wrong with a lot of guys sharing the same interest. It shouldn’t matter who likes it. Expecting a strict 50/50 balance is as arbitrary as demanding exclusivity for 100% of one gender – so let’s judge by character and enjoy furry friends, no matter what kind of people they are. The post proposed that a need for self-expression is why a lot of people gather around a very specific interest like this. It’s just one of many clues about society’s tendency to suppress expression, especially with roles put on men. There’s a lot of evidence. Suppression doesn’t make me reluctant to speak. This time, when my editorial post revisited the issue, it got a lot of positive reactions. It had thousands of views, with higher traffic than this blog has gotten for months. Thanks for that! If a random stranger in a wolf costume rushed at me with the intention to hug, I would go into full-self-defense mode. The universal “hug me” sign is good for that! Not asking is an invitation for trouble… or adventure.